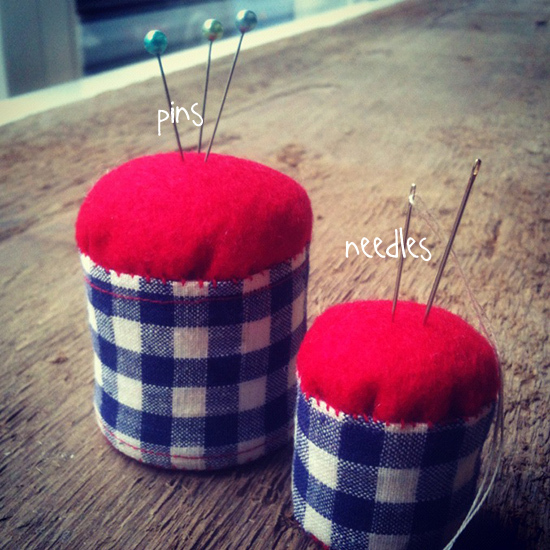 This entry was posted in Craft and tagged craft, felt, gingham, Handmade, needles, pin cushions, pins by noelle_k. Bookmark the permalink. missing you. can’t wait for December!! hehe I found a tutorial online. Thanks! I can’t wait for December too!